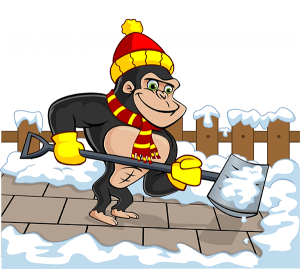 At Gorilla Property Services, our technicians understand the importance of winter maintenance. Langley snow removal and salting is an important part of keeping your property in good, working order. Outdoor surfaces, such as parking lots, sidewalks, and walkways, are some of the worst areas for slip and fall injuries. Snow and ice make these areas treacherous. Our Langley snow removal and salting services run from December to March. Our specialties run three-fold in commercial properties, Co-Ops, Stratas and apartment buildings. Did you know that in the winter of 2010-11 there were 7,138 hospital admissions due to falls on ice, in Canada alone? If you own or manage a business or multi-family building in Langley, you have a duty of care to ensure the safety of those using your property. 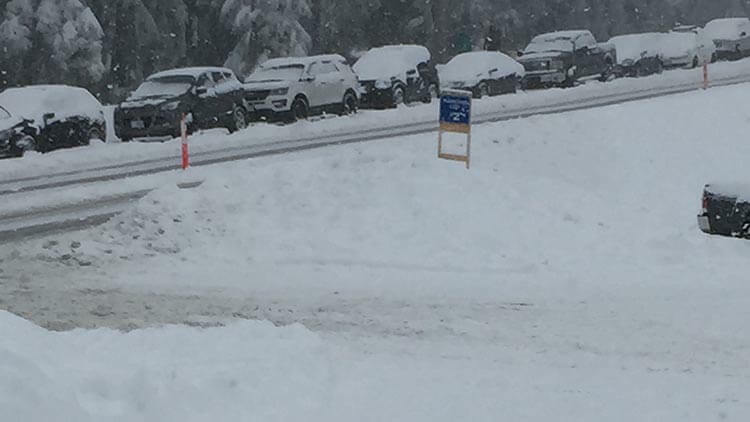 Should you choose to perform Langley snow removal and salting without the professionals you’re faced with constant weather-watching for frost and snowfall warnings, then there’s the late nights and early mornings. In order to fully prevent slips and falls due to winter conditions, it is imperative to be prepared and ready to act immediately when frost and snow is expected. When it comes down to it, there are none more prepared or ready for action than our fully trained and certified technicians. The night before a predicted frost, our Gorillas methodically salt every exposed common area, e.g. walkways, landings and parkade entrances. We also offer Parking Lot Salting with the help of our ‘Gorilla Mobile’. Any snow removal is done in the wee hours by either mechanical blower or by hand with a shovel.